Smart Marketing is critical for most businesses to thrive. Smart Marketing Investments are significant and material. So who, within the organization, should be responsible for keeping the marketing smart and for effectively managing the important shareholder / stakeholder financial investment in marketing? Can the Marketing group do an effective job alone? Should a Marketing Operations group be formed? Should Finance be involved? How about Procurement? Internal Audit? Legal? Believe it or not, in our view, a smart and effective Marketing Control Environment is created and maintained through well-coordinated interaction between each of the functional groups mentioned above. Drives the demand generation process, but is required to follow financial control structures established to safeguard corporate assets. Should be led by a Manager with a technically strong financial accounting background. Interact externally with agency finance to set up reporting template(s) and timelines. Owns Financial Terms, Definitions, and Understanding; Coordinates with Marketing Operations to review Quarterly Agency reporting. Deals with all contracting language work in tandem with Procurement and Marketing to incorporate business knowledge and definition into agency agreements. 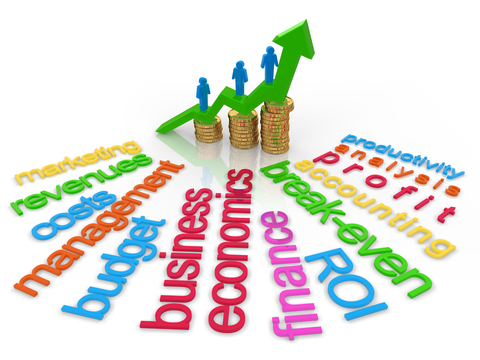 Owns the highest-level understanding in areas of proper accounting financial calculations. As Marketing contract compliance consultants, at review onset our teams rarely see a Marketing Control Environment that that is wholly optimized. Too many silos and politics are built up creating a lack of coordination between the parties and or the company simply does not focus in on this important area. Given the materiality of most Marketing Budgets, investing a fraction to ensure risk is mitigated and investments are optimized. If you are interested in further discussion on this, or related topics, please feel free to reach out to Don Parsons at dparsons@aarmusa.com. ← Do You Know if You’re Getting What You Paid For?